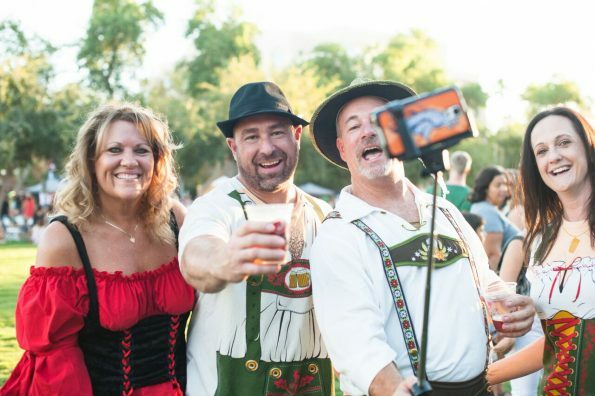 Fans of polka music, German food and craft beer will don their lederhosen and dirndls and gather in Downtown Chandler Saturday, October 1st, to celebrate SanTan Brewing’s 9th annual Oktoberfest. Leading the entertainment lineup includes: Roger Clyne & the Peacemakers, Reel Big Fish and other local acts. Professionally produced by HDE Agency and presented by Bashas’, this year’s event will highlight beer games, Von Hanson’s brat eating contest, and family zone all in celebration of SanTan Brewing’s 9th anniversary from 3-11 p.m.
No Oktoberfest celebration would be complete without beer! The SanTan Brewing Oktoberfest will feature a Bavarian-style beer garden where thirsty patrons will enjoy SanTan’s Oktoberfest lager. Oktoberfest is a traditional German lager boasting a toasty strong malt profile with a clean and crisp lager flavor, ABV 5.5%. SanTan will also pour their core beers and other seasonal offerings. Other highlights include a beer pong tournament, bag toss, the buddy carry, stein holding, keg stacking and tricycle races. 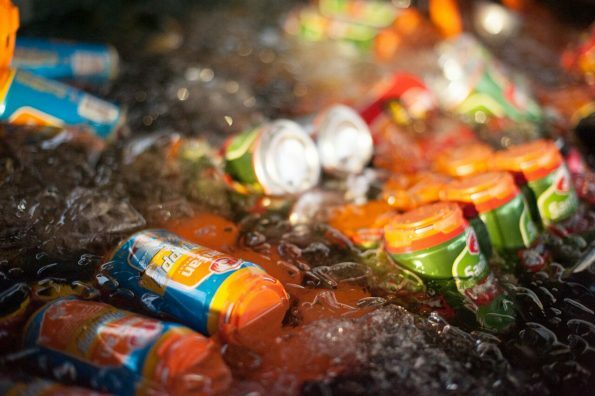 So, dust off your lederhosen and dirndl and get ready for a smorgasbord of good times at the 9th annual SanTan Brewing Oktoberfest. The festival will be located in Dr. AJ Chandler Park across from SanTan Brewing Company at 3 S. Arizona Place, Chandler. Presale general admission tickets are on sale now for $12 online at www.santanoktoberfest.com or you can pick them up at SanTan Brewing Company. Kids 12 and under are admitted for free with a paid adult. Day of general admission will be $15. Starting September 1, 2016, pre-sale tickets will be available for $10 at all valley Bashas’ locations. Day of admission will be $15 per person. VIP tickets are available for $75 online, with limited availability. VIP admission is for patrons 21 and over and includes catered food from SanTan Brewing, six beers, private seating area, private restrooms and exclusive stage viewing access. Stay tuned to the SanTan Brewing Oktoberfest social media channels @SanTanOktoberfest for more vendor and entertainment announcements. A portion of the proceeds from the SanTan Brewing Oktoberfest benefit St. Joseph the Worker, a 501c3 non-profit organization dedicated to assisting the homeless, low income and other disadvantaged individuals in their efforts to become self-sufficient through quality employment. For more information about St. Joseph the Worker, visit www.sjwjobs.org.